Bryce Harper has officially been a free agent since ​he World Series ended on Oct. 27. Since then, he has been rumored to fit with the Yankees, the Cubs, and most recently the Phillies, who have really picked up steam in the chase, and are ​reportedly the favorites to sign the superstar. One would argue that the Phillies aren't "a Bryce Harper" away from being a legitimate contender in the National League. That was evident by their collapse in the final month of this season. And so, we are here with a humble plea to tell you that the Astros--yes, the loaded Astros--should go after the 26-year-old. First of all, is anyone really regarding Houston as a budding super team anymore? We just watched them get pantsed by Boston. We know they not only can be beaten, but it can happen emphatically. ​​Most would say that their outfield is their biggest need for improvement. Outside of George Springer, they have Josh Reddick and Tony Kemp in place, with Marwin Gonzalez set to hit free agency. Hello? Second, they have the money to spend, already having locked Jose Altuve in long-term on a (relative) bargain extension. So why wouldn't they chase a player who could put them over the top the likes of the Red Sox and Yankees? We want to know where you think some of the top names will end up. 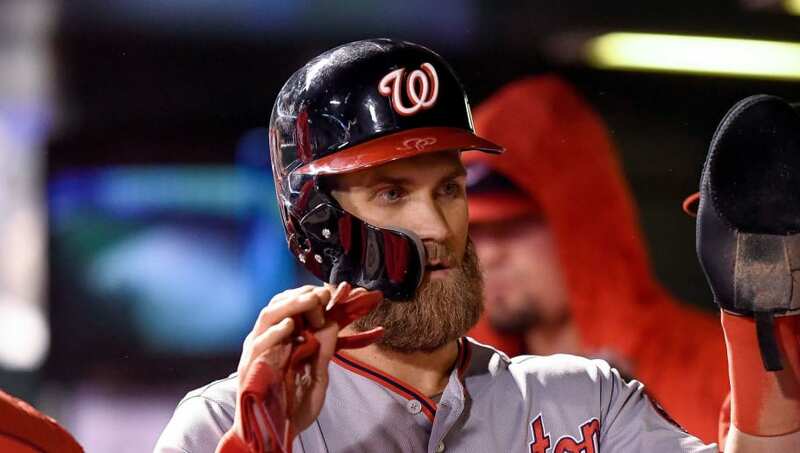 Singing Bryce Harper would send a statement to the rest of the ​MLB. Picture a 1-through-4 of Alex Bregman, George Springer, Jose Altuve, and Bryce Harper. Yankees fans everywhere just cringed.